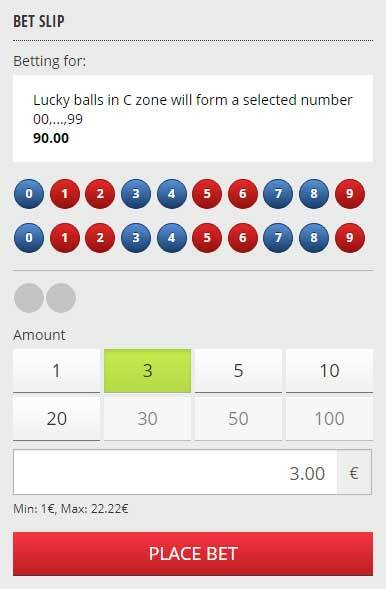 Betgames Lucky 6 is yet another lottery based game. It sits between Lucky 5 and Lucky 7. 6 balls are drawn out from a total of 60 Balls. When draw they are placed into 3 different sectors, labelled A, B and C. Each sector takes two balls. 30 of the balls are coloured Red and are numbered 0-9, so there’s 3 sets of red balls numbered 0-9. 30 of the balls are coloured Blue and are also numbered 0-9, giving 3 sets of Blue numbered balls from 0-9. A new game round is started every 5 minutes, and is scheduled so it doesn’t conflict with either of the Lucky 5 or Lucky 7 game draws. War of Bets 1 – 100 None To see the latest Live Casino promotions. Click Here. Lucky 7 1-100 None To see the latest Live Casino promotions. Click Here. Betting time is open from the moment the previous games ends to the next one started. That’s a full 5 minutes of betting time. There’s all sorts of bets you can make and you can make as many of them as you like. 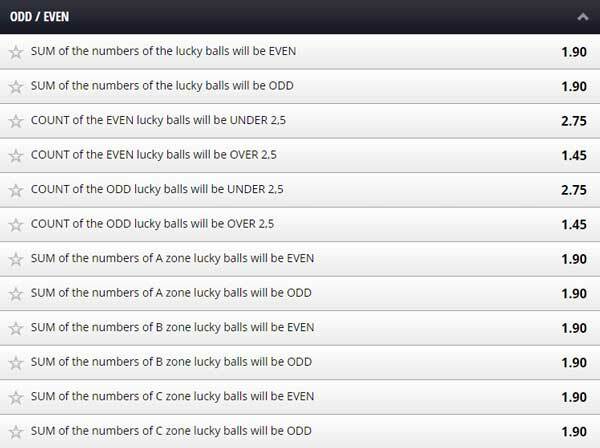 This is all about selecting which numbered balls will drop into the different Zones. 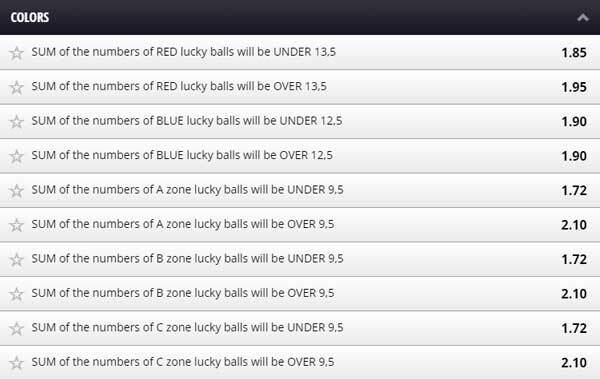 You can select to bet on just one numbered ball landing in a zone, or you can try and predict which two balls will land in a zone. You’re betting on whether the count of the chosen number will be greater or less than 1,5 or an Odd or Even Number. Here you can bet on the Sum of the numbers of a colour or the sum of the numbers in a particular zone being over or under a particular value. See the chart for more details. You’re betting on the Sum or Count of the numbers being Odd/Even across the whole results or in particular sectors of the result. Here you’re betting on the sum of the numbers being under or over a particular value. The chart has more details. On the righthand side of the screen is a betting slip. The details on the slip change depending which of the bets you want to make. The Lucky 6 result is best viewed on the results screen, either immediately after the game round has completed or at the Betgames Website, where all historical results are shown.